L Phonix & Yllavation – End of 2013 mix (Exclusives) Free Download !! As 2013 draws to a close I would like to thank all the people that have shown support and the people I’ve had the pleasure of working with over the year MASSIVE thanks & much appreciated !! ALL TRACKS L PHONIX & YLLAVATION EXCLUSIVES !! If you missed the L Phonix & Yllavation guest mix on Kiss FM you can now check it out and keep it with you with this free download of the whole set that was broadcast 10/01/2013. The L Phonix & Yllavation remix of ‘Do What I Do’ featuring Omar Lye Fook is now available as a free download. This will also include an instrumental version as part of the download. making this a great package of soul & house ! Hit the Free Downloadz tab here on l-phonix.com and its yours ! 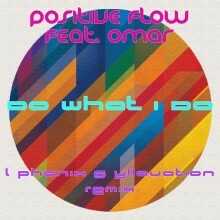 This Fan favourite by Positive Flow featuring the internationally acclaimed British soul singer, songwriter and musician Omar, gets a unique soulful house remix by L Phonix & Yllavation. 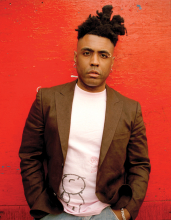 Check out the remix in full right here.